Happy Tuesday, friends! I hope your week is off to a good start! Can you believe it’s October?! It’s so crazy!! I just wish we had some cooler weather! Don’t you feel me on this? I’m so ready for fall. I sound like a broken record, but October is here and we are all ready to wear sweaters and scarves!! 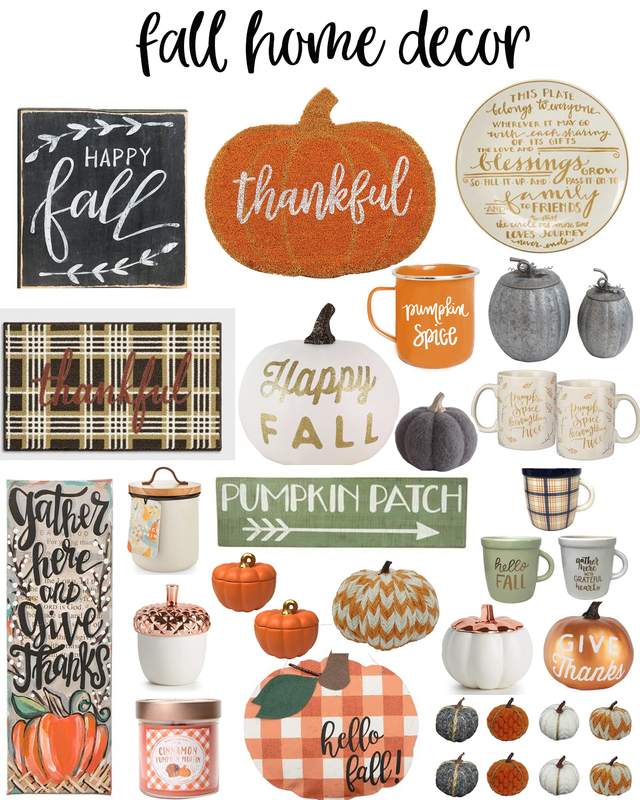 In honor of fall and the beginning of October, here are my fall home decor favorites! Which of these fall home decor items do you absolutely need in your life? I love them all!! Have a wonderful day! XO! Loving this Fall home decor? Click here now for more of my home style favorites!